At the moment in Sweden there is a commercial talking about projects that take time and when things go wrong, but if you only persevere it will feel more rewarding in the end. 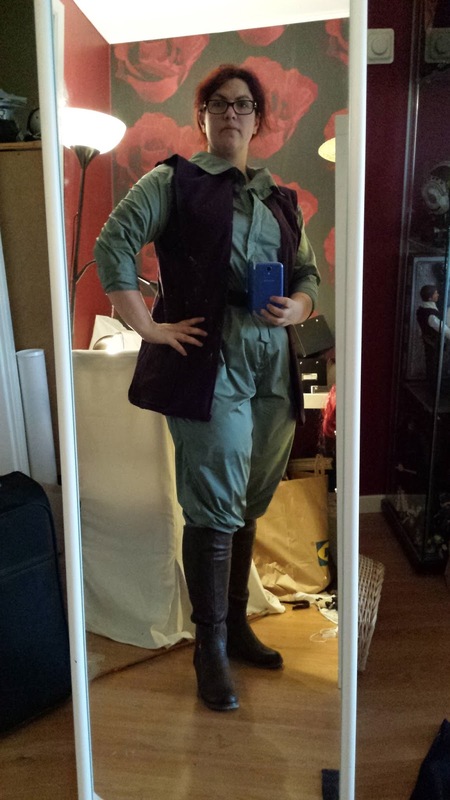 Well the TFA Leia vest is the opposite. A lot of things did go wrong, I finished it, but I'm not happy with the result. 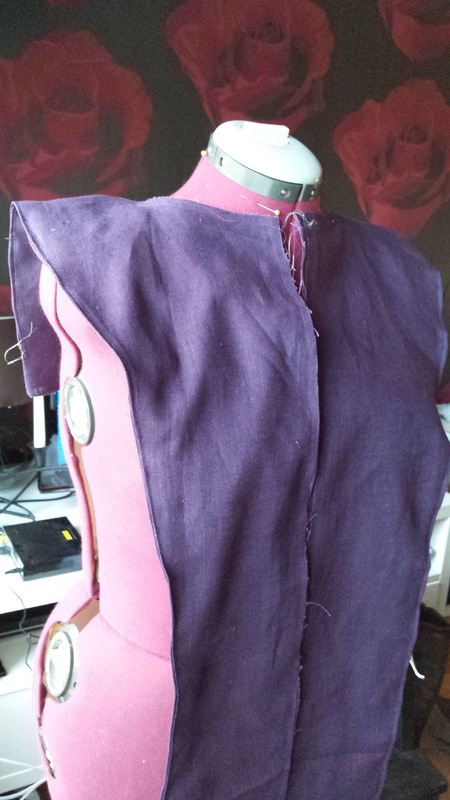 It started out easily, using the black vest from my first attempt to make a new pattern. The front is cut on the grain, along the selvage, and the shaping is done at the side seams and back. It's a left and right piece, since there are no visible shoulder seams. 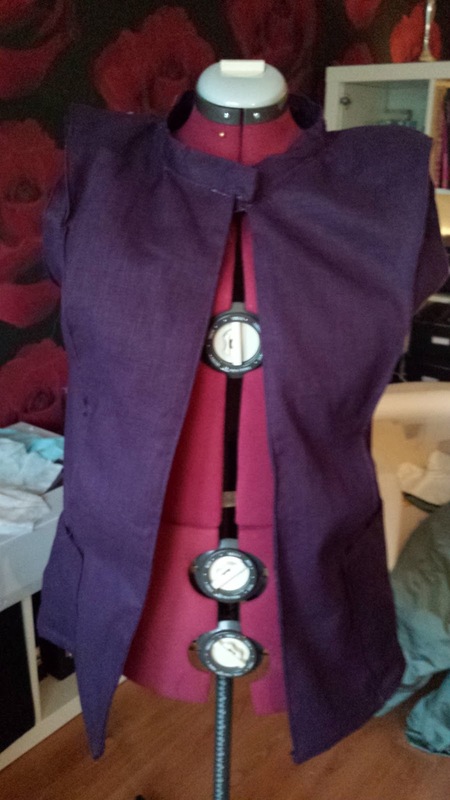 One of the problems was that the fabric that I had found had quite a colour difference between the right and wrong side, and since the inside of the vest is seen quite a few times and needed to be the same colour I had to self line all the pieces. 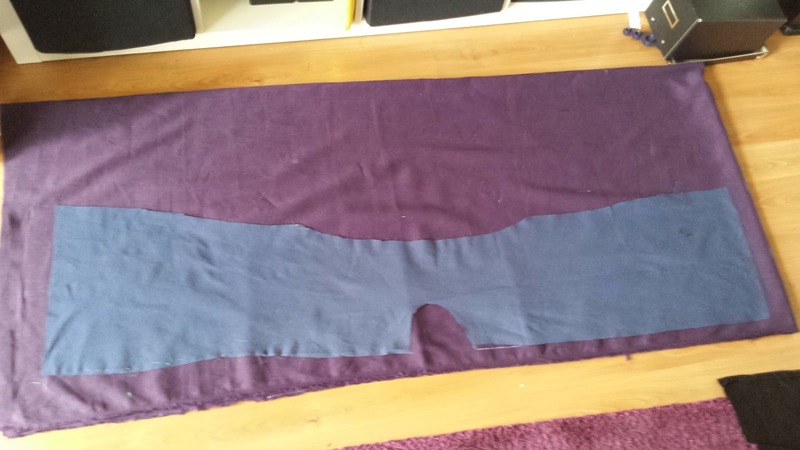 Here the left and right sides are sewn together. 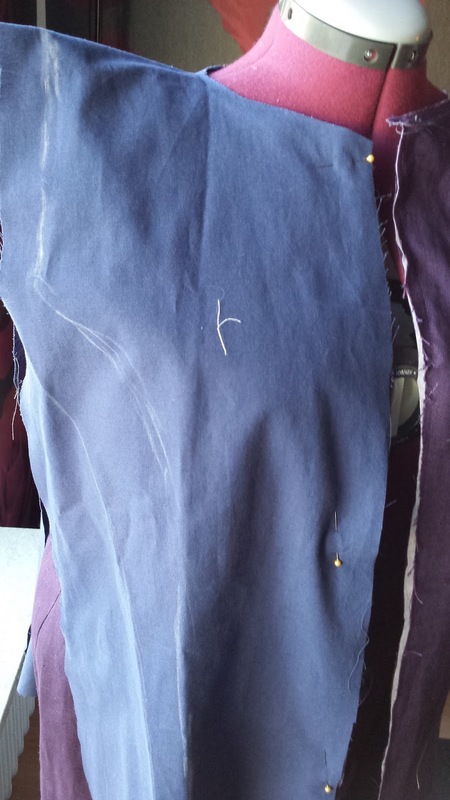 I also added a piece of fusible interfacing to the outer layer, since I thought that it might be flimsy. In the end it would have been easier to be without that layer. The vest is heavy enough without it, and the extra layer just added bulk and complexity. 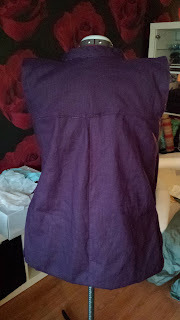 The loose yoke was made by taking the pattern and drawing out how I wanted it to look. 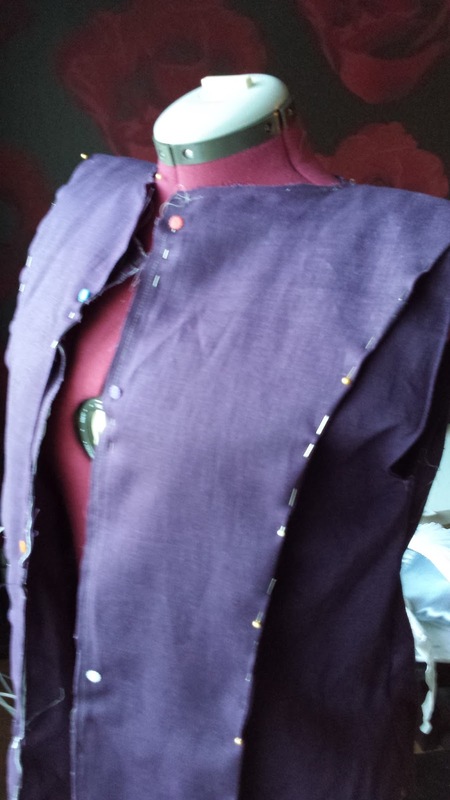 Then it was simply a question of looking at reference pictures, pinning and cutting until I had a shape I liked. I had the yoke pinned to the vest when I did all the finishing on it. This is the finished yoke, Before it's attached to the vest. 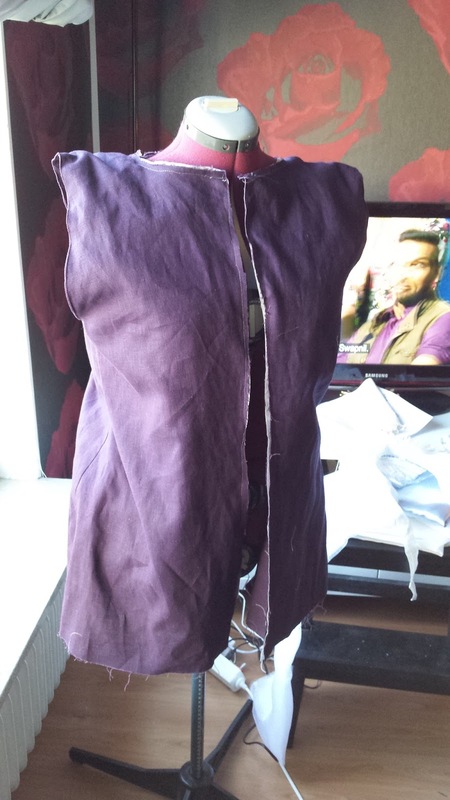 I first attached it to the front opening, then I added the colour and I ended with sewing the back to the back piece. The collar is a strip of fabric, 6 cm wide, cut on the bias and with fusible interfacing to make it stand up. There are some definite issues with all the layers shifting and being uneven. The vest is also quite bulky, where the yoke is there are four layers + interfacing. If, or rather when, I redo the vest I will do my best to work with deep hems and facings in order to avoid having to fully line all the pieces. Here I am trying on all the soft pieces. Wearing a jumpsuit that's basically made out of plastic and a four layered vest is hot and heavy though. I was really sweating just from putting it on and taking some photos. At the moment I'm thinking about maybe sewing some kind of linen shorts and tank top to soak up the sweat and make it more comfortable to wear for longer period. We will see how much time I have before London. 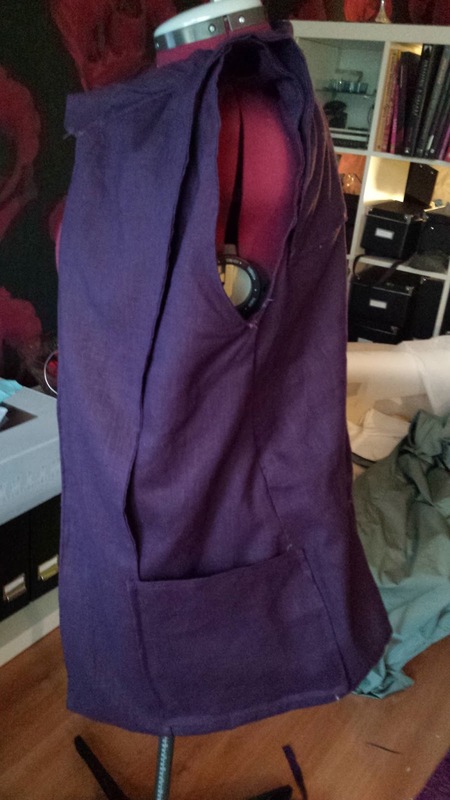 After all my main motivation for finishing the vest is that I want to start and some other more fun projects that I want to bring to Celebration. 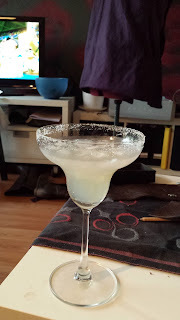 Anyway after all the swearing I felt that I deserved this after having finished it all.